Should i avoid using SSD's? Should I Avoid Using SSD’s? Pros & Cons, Solid State Disks. 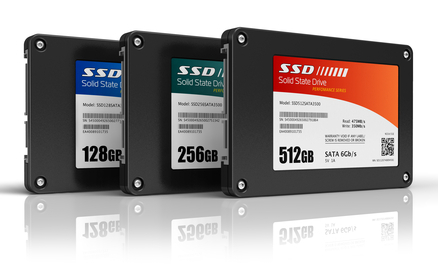 SSD Innovations – So what are the Benefits of Using an SSD? SSD’s are noted for a few very important things above HDD’s. At the top of the list is speed. An SSD usually boots very quickly, being able to get a system loaded and waiting in under a minute, whereas traditional HDD’s can take quite a while longer. Since SSD’s don’t have to worry about spin-up time or moving platters and heads, it also operates faster than a traditional HDD. Because of this lack of moving parts, SSD’s also demonstrate a remarkable amount of durability. They are much easier to carry about in case of an emergency and are less likely to be damaged by falls. Traditional HDD’s tend to speed down over time because of the way that files are stored. As time passes files stored on a traditional HDD become fragmented and take much longer to access because of the fact that sequential file parts are not contiguous. SSD’s do not have this problem because they do not worry about access time and the location of the file parts are irrelevant. Among the things that SSD’s are good at, the one that stands out the most in comparison to HDD’s is the speed element. Why haven’t SSD’s taken over the market by storm then? Why are we still using HDD’s? The long and short of it is that even this amazing advance in technology has its drawbacks. The per-megabyte cost of the SSD’s as mentioned before is a major limiting factor. It is unlikely that most consumers are able to afford high-volume SSD. The highest capacity SSD offered for commercial consumption today rounds out at 30TB, with more affordable versions around the 500GB to 1TB range. SSD’s are also prone to being used out more quickly than HDD’s. The flash storage on an SSD can only be rewritten a certain number of times, and after that the sector becomes unusable and so the SSD transfers to the next available sector until the disk is completely depleted. Depending on the use of the drive, the SSD can become depleted very quickly and could leave you in a lurch. There are ways of recovering data from an SSD, but these are expensive and require experts, like eProvided to give assistance. Even so, it is a possibility that not all the data you have on the drive will be recovered. When should I use an SSD? Using an SSD for booting is the most common application of this bit of hardware. Boot times are reduced many times over and the operating system works much more efficiently when it boots from an SSD. Because of the low traffic nature of an operating system or boot partition disk drive, it is likely that the drive will remain viable for a long time. It is not, however, a good idea to use it as a portable drive for storage of media or raw files that need to be rewritten on a day to day or even hourly basis. The more rewrites done means that they more the flash memory is being used and the more likely the drive will fail through overuse. It should also be noted that data recovery from an SSD can be time consuming and costly since it is more involved than the data recovery from an HDD. It is much better to keep non-sensitive information than critical information on the SSD. At the end of the day, your choice of drive falls to no one except yourself. However, knowing how much more efficient certain types of drives are in certain operating conditions allows you to make the best choice possible for your configuration and requirements. An SSD is a brilliant new piece of hardware that can significantly improve boot times and lower stall times in your operating system. It is not, however, built for writing and rewriting that is typical of most other HDD’s. To this end, in order to determine if an SSD is right for you, take into account the type of work you plan to be doing with it and how often it will be used. Using this, you can figure out if this sort of hardware would suit your needs or if you should just stick with HDD’s.